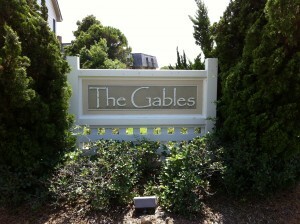 The Gables are twenty-six spacious garden-style condominiums on the west side in Kitty Hawk NC, built in 2003 with lovely interior spaces and modern finishes. Each building houses two connected, side-by-side units. The community has a private pool and basketball net to be enjoyed by all.